June 1, 2014 • Environment, Hartford, Popular Culture, Who Knew? …that the Elizabeth Park Rose Garden in Hartford is the oldest municipally operated rose garden in the country. Established in 1904, the park was once the residence—and grounds—of industrialist Charles M. Pond. Pond willed the estate to the City of Hartford to be used as a horticultural park, stipulating that it be named for his wife, Elizabeth. Theodore Wirth was the park’s first superintendent and he designed the original garden, which was planted in 1903 with 190 varieties of roses. 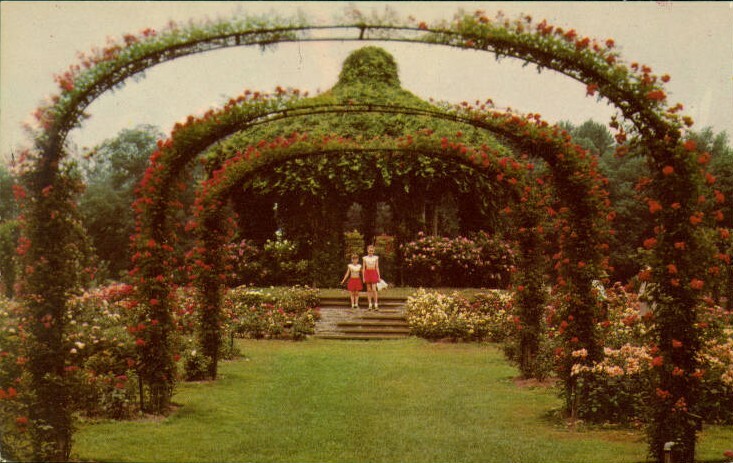 The design was based on a central arbor with beds laid out in parallel lines intersected by paths in a radial pattern under arches of climbing roses.